Yes, you would simply need to know their WP User ID#. 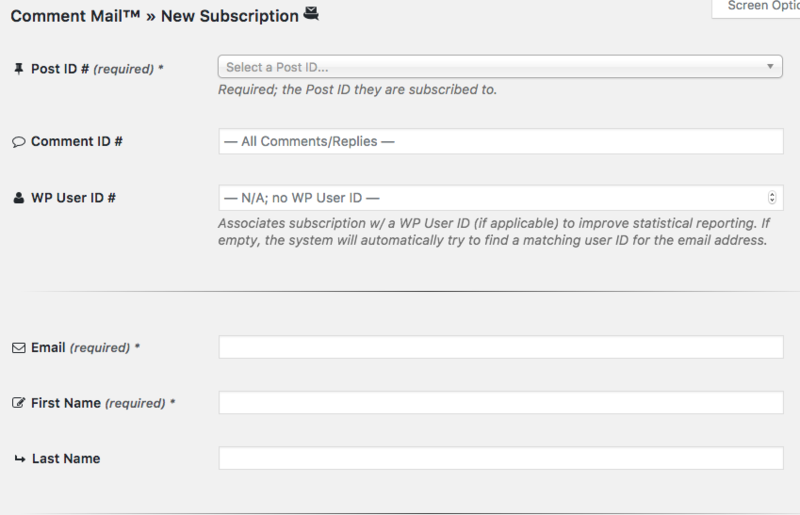 When viewing your list of Subscribers at WordPress Dashboard → Comment Mail → Subscriptions, at the top click Add New. This will take you to the "New Subscription" page to fill out the necessary details for the manual subscription. This allows you to manually create new subscriptions for existing users.